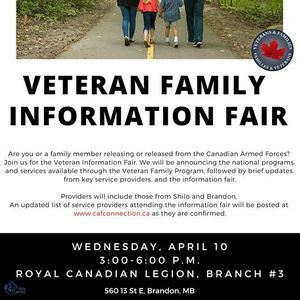 Are you or a family member releasing or released from the Canadian Armed Forces? 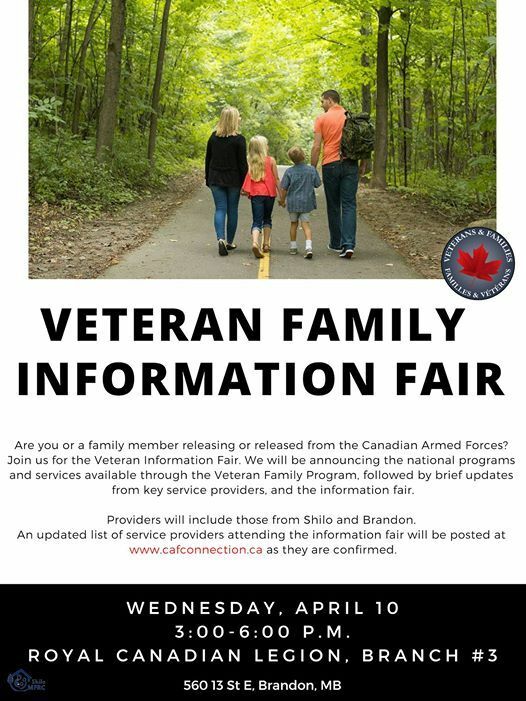 Join us for the Veteran Information Fair. We will be announcing the national programs and services available through the Veteran Family Program, followed by brief updates from key service providers, and the information fair. 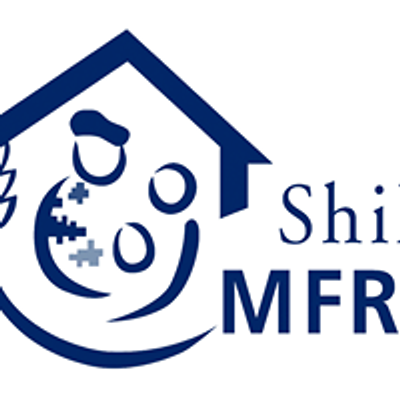 Providers will include those from Shilo and Brandon, including but not limited to: Veterans Affairs Canada, SISIP Financial, The Transition Group, Prairie Mountain Health, Veteran Transition Network, and OSISS. An updated list of service providers attending the information fair will be posted onto our website as they are confirmed. Light refreshments provided. Parking available at the Legion.